Women of the Word – Wow at Canton GBC – Check us out on Facebook. Wow! is changing hearts, changing lives, one woman at a time! Wow! 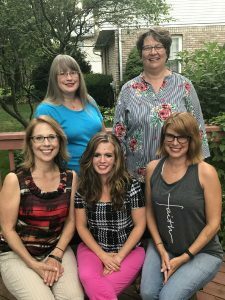 Women of the Word is a women’s ministry designed to be Christ-centered, relationship building, relaxing and fun! Jesus is at the center of all of our activities and building genuine friendships is a top priority. We have a regular weekly Wed. night Bible study that begins in early Sept. and ends in mid-May. We host many Wow! events through the school calendar year that provide extra opportunities to learn new skills, serve others in our church and community and just provide time to hang out! If you have any questions, call 330-499-3818 and we will get back to you! 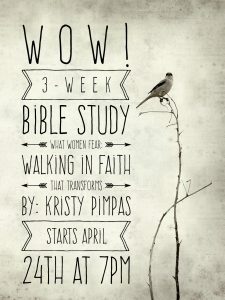 Next 3 week Bible study, beginning Wed., April 24th at 7pm, led by Kristy Pimpas. 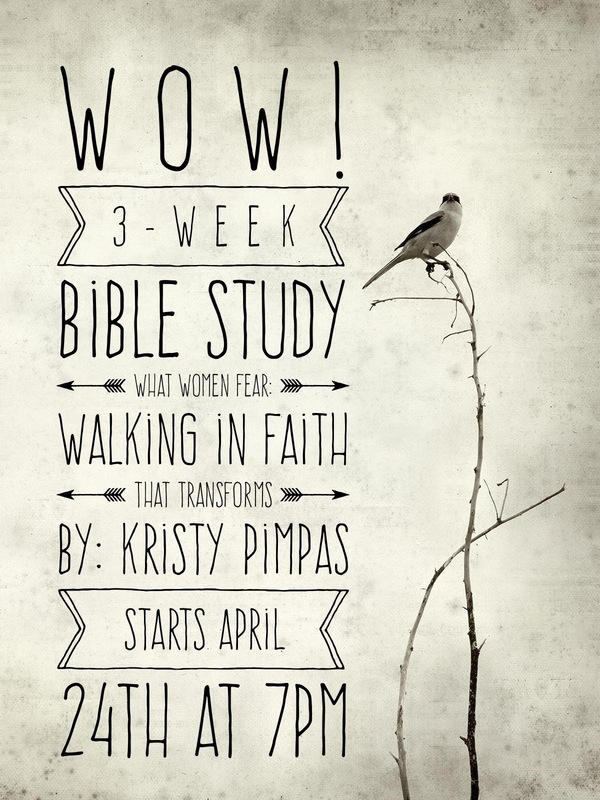 “What Women Fear: Walking In Faith that Transforms” by Angie Smith. Do you struggle with fear of any kind, from “what if” worries, fear of failure, not being enough, or trusting Gods plan? We will be focusing on redeeming these struggles and relying on our faith in God. Come and learn with your friends at WoW! This study continues each Wednesday at 7:00pm. Invite a friend…it’s Free! Every Wednesday at 7pm, we focus our evenings to be Christ-centered, relationship building, relaxing, and fun! Women of the Word (Wow!) invites all ladies to attend our upcoming studies and events.